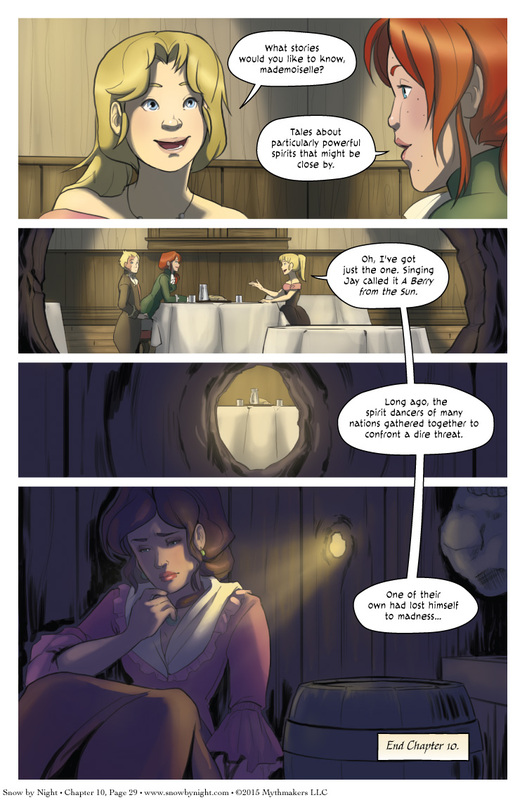 Alays begins her tale for a larger audience than she knows on Chapter 10, Page 29. This is the final page of the chapter and leads directly into the vignette A Berry from the Sun. If you enjoyed Feathers and Frost from Chapter 1, then you’re really going to enjoy this story. The artist is Cari Corene. She is a magnificent watercolor artist. You can find her work on etsy, tumblr, or deviantart. To see a preview of what she has in store for you, please vote for Snow by Night on Top Web Comics.